Everything you need to know about InMotion Web Hosting And whether it’s the right hosting choice for you! Welcome to InMotion Web Hosting! 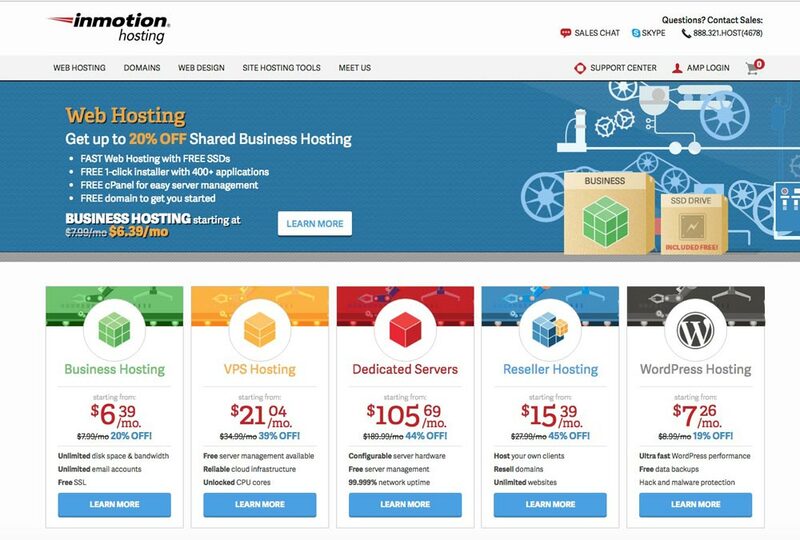 In this Definitive Review, the team at EntrepreneursGateway.com have tested InMotion to the absolute MAX to see if it’s the perfect web hosting choice for you. What features do you get with InMotion and how easy is it to use? InMotion offers various pricing plans and additional features. But be aware that the heavily discounted prices it boasts tend to be if you sign up for 24 months. 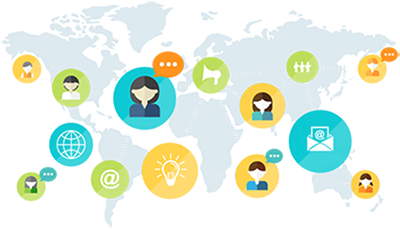 InMotion’s Account Management Panel offers a very straightforward and user-friendly interface where you can easily manage your account. InMotion provides all the support channels. They also have an education channel with lots of helpful articles, videos, and tutorials. Is InMotion the right Hosting Provider for you? Performance: How fast your website will load using InMotion Hosting? Reliability: What measures have been put in place to ensure your website is available to your customer/prospects without any downtime? Customer Support: Does their customer support offer quick solutions and help, and can you count on them? 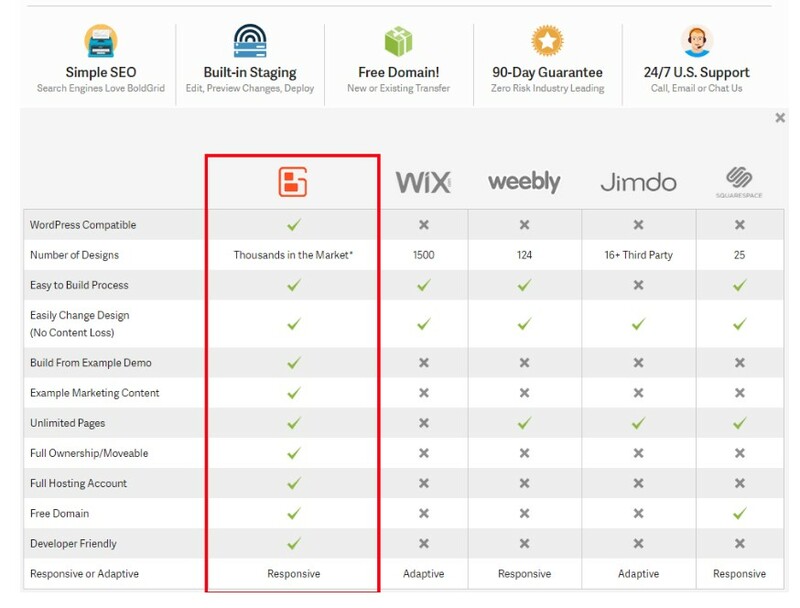 Features: Do InMotion offer everything that you will need when building your website? Cost: Do InMotion offer the best pricing in the marketplace? And more importantly, what deals can help save you money? What and who are InMotion? InMotion Hosting has been established since 2001 and is a very popular hosting choice for businesses wanting a reliable and secure experience. InMotion seems to have created a name for itself as the Best Web Hosting for small businesses and is based in the US, with a diverse team with technical abilities, it focuses on the most up-to-date technology to be able to provide its clients with a smooth experience. InMotion has two data centers in both Los Angeles and Virginia Beach. They are one of the few top hosting providers who are not owned by EIG (Endurance International Group). All of their support staff undergo more than 160 hours of extensive training so that they are able to understand both technical/non-technical areas of the business. It is only when they have completed this, they are then allowed to speak to customers. It’s always essential that you choose a web hosting company that has a proven track record with being able to offer a reliable service. InMotion does guarantee that your website has 99.9% uptime, therefore boasts it will therefore always be online. InMotion has put measures into place which safeguards their hosted websites will not ever experience any downtime and sluggish performances. Website users really detest slow websites. Did you know that just a single second delay potentially could cost you up to 7% fewer conversions? Ok, back to our testing of InMotion…..
From the results above, it’s clear to see that our site loaded in just under a second and that it’s faster than 90% of tested sites. Pretty good going. We also thought we would use another tool known as ‘Bitcatcha.’ It works slightly differently than other tools. It doesn’t load the entire website; it just records a server’s response time from various locations. I think it’s much accurate of a result to see how quickly a server responds to user’s requests. InMotion Web Hosting responded under a second on all of its locations. With response times being slightly higher in Brazil, Australia, and Japan. If your target audience is in the UK or USA, it shows that InMotion Hosting is very reliable and fast. For other areas, it might be beneficial to find a server that’s located nearer their regions. InMotion has invested a lot into its data centers and are both operated by several Tier 1 Internet Service Providers as well as being backed by several layers of redundancy. This ensures the data centers can deal with both reliable and fast services which you can rely on. When it comes to being able to use any Hosting Platform, it’s vital that it’s easy to use. You don’t want to spend hours and hours learning another piece of software, or even worse, going on a coding course! So, once you’ve signed up with them a nice touch, I thought was that you got a lovely welcome email with links to your Account Management Panel (known as your AMP). First things first….. you need to set up a secure password! Once I had logged in, I found the AMP, which mostly deals with the management side of your account. It’s basically the accounting part. InMotion have recently upgraded their AMP and something that we felt was unique to InMotion. When we compared this to others that we have seen, InMotion's AMP offers a very straightforward and user-friendly interface where you can efficiently manage your account. In there, you will have access to a number of features such as being able to reset your account password, manage your credit/debit card, purchase additional hosting, if required, upgrading your account, installing of software (WordPress, Drupal, Joomla) – these have one-click installers, Purchase SSL certificates, and other useful things. Through the InMotion AMP, it’s possible to launch whatever process you require. InMotion uses cPanel, which is not surprising as most hosting providers use this, simply because it’s easy to use. 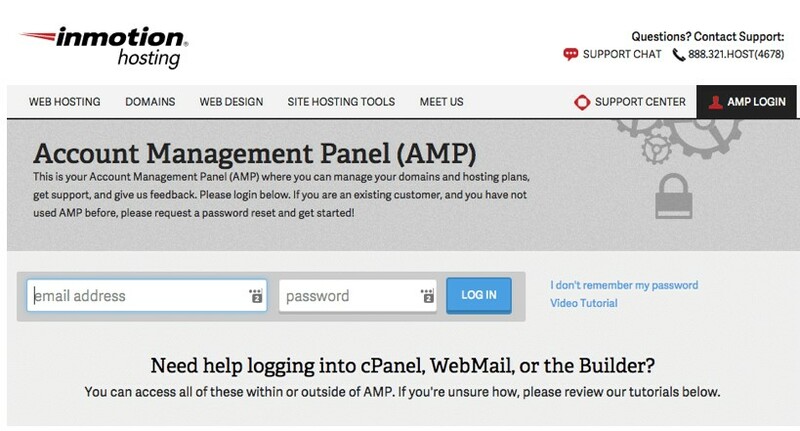 It’s possible to go straight to cPanel through the AMP. Once we looked through what was available, we then set about setting up our account. The below screenshot is of the cPanel. 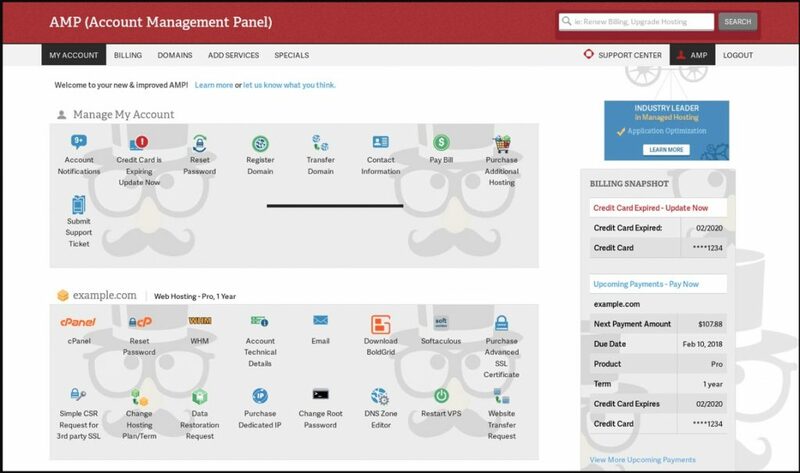 It’s just like any other cPanel dashboard, but what struck me was the theme they use. It’s so much more refined than any other hosting accounts we’ve reviewed. 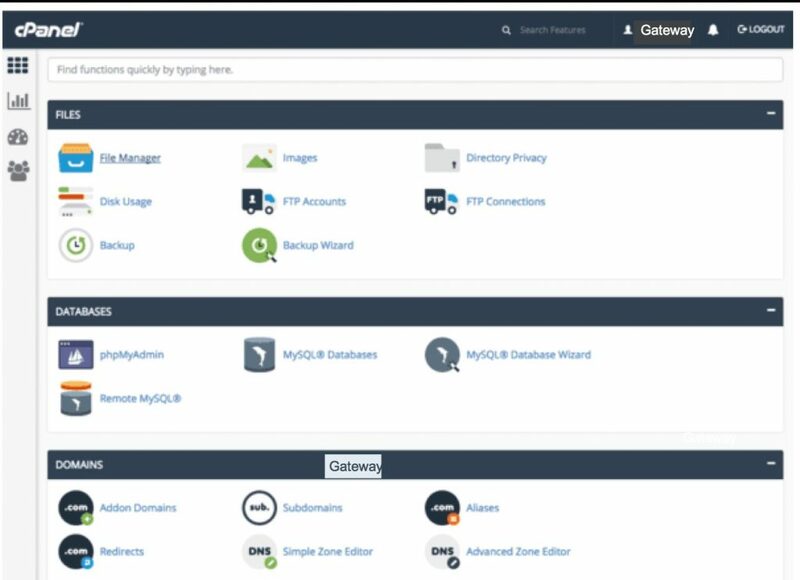 Here’s a quick screenshot of the cPanel, mostly normal stuff, but we really like the theme used, much more refined than the older style available with most hosting accounts. We simply uploaded our file to the new server via the accounts cPanel File Manager. The upload did take a while, well it was a large file! 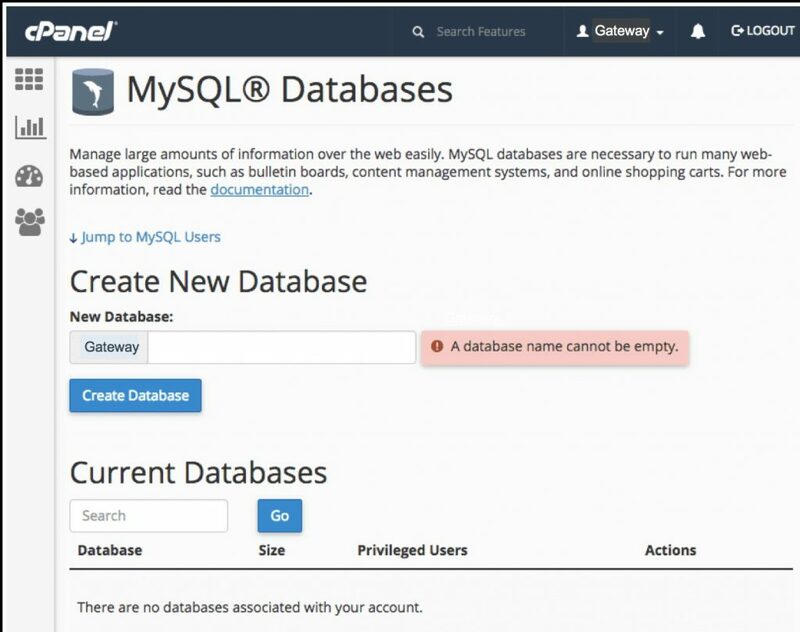 So, while that was going on, I made sure that my database was set up fully via the cPanel. So, once the database had been set up, we just needed to extract our back up files….easy peasy. Well, all in all, it was effortless to migrate our website! 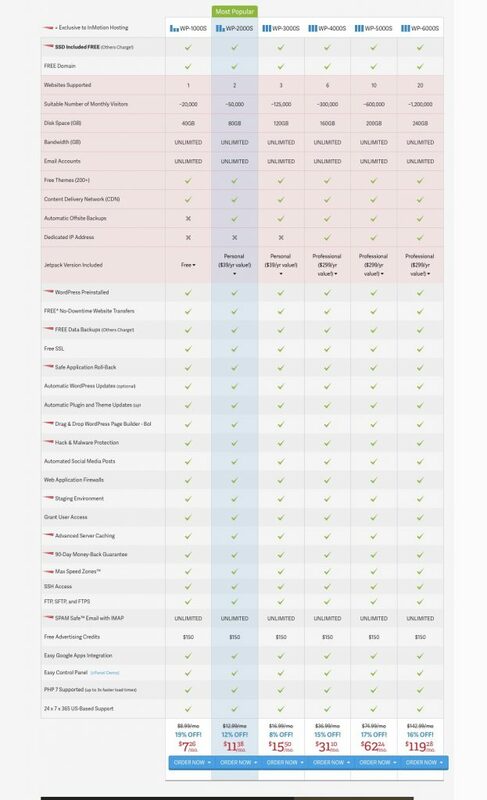 Should you choose InMotion to host your website, you will have the reassurance that all of your databases, your files, and your emails are secure. They have taken various steps which ensure that all user accounts are safe. There are free security plugins you can use which will scan for security risks such as malware. 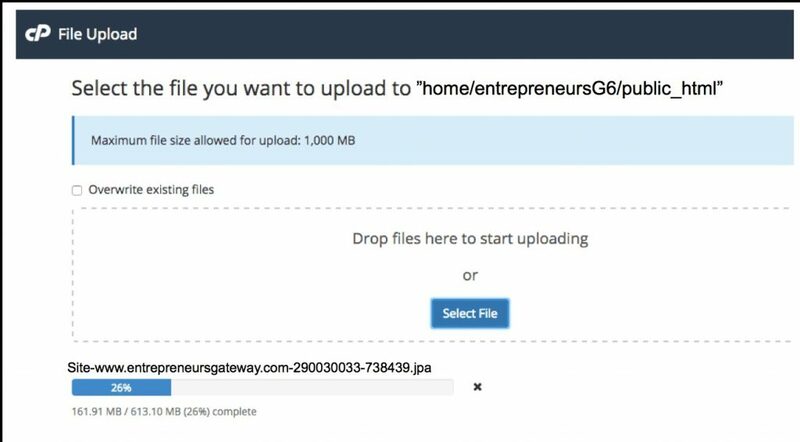 All plans include a remote backup service every 24/36 hours, but it’s important to note that this is ONLY available if your website is smaller than 10GB in size. If you have a larger site, you will need to request this. Should you wish to subscribe to McAfee (spam and virus protection), then there is a small monthly fee for this. If it’s the case that you wish for even more security, then you will need to pay to purchase an annual SSL certificate. It’s simple to get support with InMotion, with five ways to ensure that your questions are answered. InMotion also have their own online support center as well as a Q&A section. They have an Education Channel, that’s online, which has adequate ‘help’ articles, videos and tutorials. If all of the above fails, then you have the option to talk to the customer support team either by phone or email as well as Live Chat. There are conflicting views when it comes to contacting InMotion’s customer support team. For some people, they have said it’s challenging to get in touch, especially if they need to speak to a manager, while others have given credit to their short waiting times and how vast their knowledge is. The only language they speak is English. It really does depend on whom you manage to speak to and at what time you contact them as to whether the experience you get is outstanding or not very satisfactory. In most circumstances though, InMotion is known for offering excellent support to their customers which is evidenced by many positive reviews and ratings. Free website builder, e-commerce, and add-ons. $250voucher of advertising credits towards (Google, Bing, Yahoo and Yellow Pages). InMotion used to have their own Free Premium Website Builder built into their dashboard, however in January 2018; they announced that it has become obsolete and will not be receiving any further updates. InMotion has now recommended using a free website builder BoldGrid, which allows the flexibility of a drag-and-drop builder which is built for WordPress. As well as you having 100% ownership, it’s completely FREE. InMotion offer a FREE #website #builder. Easy to use drag and drop features with pre-built responsive themes. Great for #SEO! InMotion offers their customers a money-back guarantee (90-days) for business and VPS plans who have subscribed for more than 6 months. For those that have subscribed on a monthly contract, they also offer the standard guarantee of 30 days money back. Web hosting costs start at $7.46 per month (if you take out an annual subscription) or $6.39 per month (if you take out a 2-year subscription). 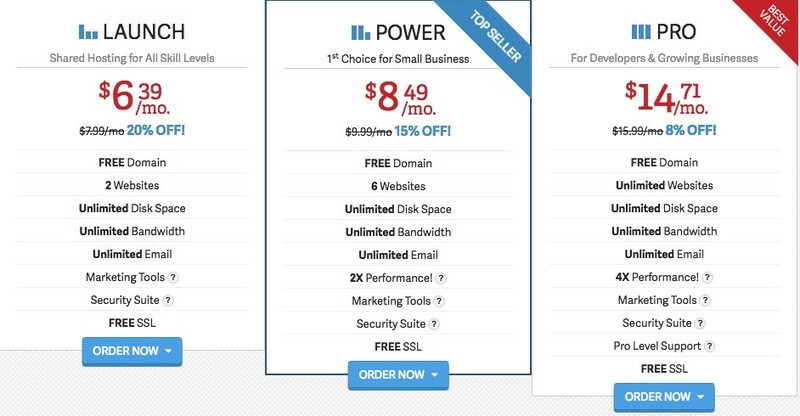 Web hosting costs start at $9.56 per month (if you take out an annual subscription) or $8.49 per month (if you take out a 2-year subscription). Web hosting costs start at $18.99 per month (if you pay monthly), $15.80 per month (if you pay for 6 months at once) or $14.71 per month (if you take out an annual subscription). All of InMotion’s Business Hosting Plans include free Solid-State Drives (SSD Drives) offering its customers improved uptime and faster speeds. Best Web hosting for Developers? InMotion offers web developers flexible coding options allowing them to develop a site in the language that they know best. Best Web Hosting for Blogs? Best web hosting for e-Commerce? 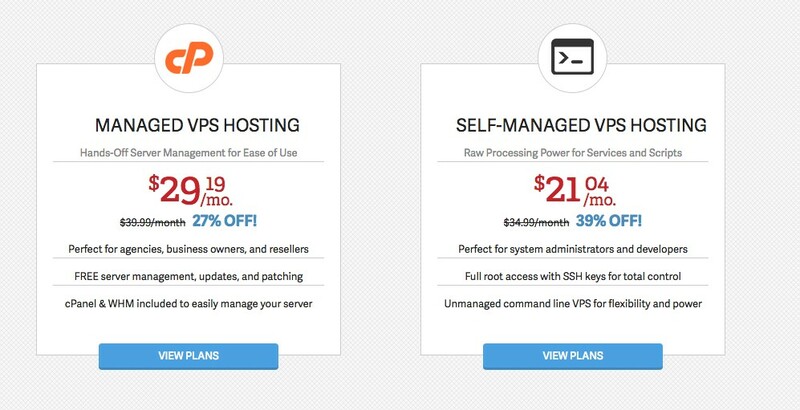 What is the difference between Managed VPS Hosting and Self-Managed VPS Hosting? It’s known as server management, which basically means any functions and activities that are involved in being able to keep your server up-to-date and most importantly keeping it secure from any online threats. All servers need managing which ensures that they are operating at the optimum performance level and are secure and safe. Self-Managed Hosting is when the server owner manages the server, and Managed Hosting is when they do it for you. (Managed Hosting is the most practical and recommended choice to ensure the smooth running of the server). 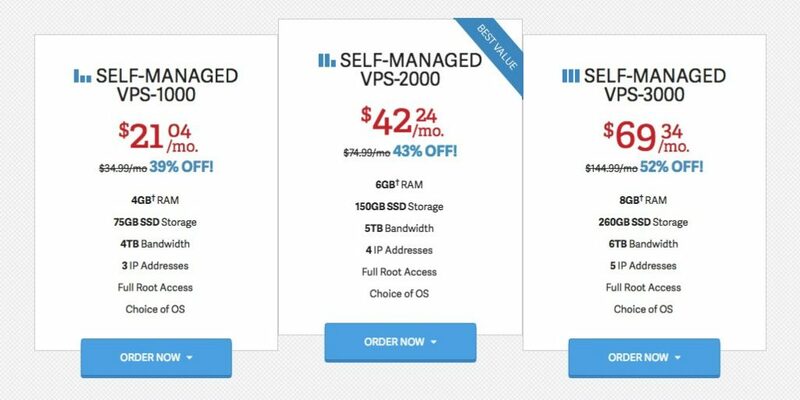 Not every hosting company offer the self-managed option. Web hosting costs start at $41.64 per month (if paid monthly), $36.49 a month (if you commit to 6 months) or $31.34 a month (if you take out an annual subscription) or $29.19 a month (if you take out a 2-year subscription). Web hosting costs start at $72.84 per month (if paid monthly), $62.69 a month (if you commit to 6 months) or $52.54 a month (if you take out an annual subscription) or $47.39 a month (if you take out a 2-year subscription). Web hosting costs start at $95.24 per month (if paid monthly), $84.94 a month (if you commit to 6 months) or $79.64 a month (if you take out an annual subscription) or $69.34 a month (if you take out a 2-year subscription). As this is a self-managed hosting package, we strongly recommend that you only use this service if you are comfortable with Linux. Check with their hosting experts before you buy! Web hosting costs start at $31.34 per month (if paid monthly), $26.19 a month (if you commit to 6 months) or $21.04 a month (if you take out an annual subscription). Web hosting costs start at $62.54 per month (if paid monthly), $53.39 a month (if you commit to 6 months) or $42.24 a month (if you take out an annual subscription). Web hosting costs start at $84.94 per month (if paid monthly), $74.64 a month (if you commit to 6 months) or $69.34 a month (if you take out an annual subscription). Once your Self-Managed VPS Server has been provisioned by CentOS or Ubuntu, you are one step away to obtain full access to your server. This is achieved via ‘SSH’ key management that’s within your AMP panel through an easy-to-use interface. All of InMotion’s Hosting Plans include free Solid-State Drives (SSD Drives) offering its customers improved uptime and faster speeds. The means that you get fast delivery of all of your content from your online store, blog, static website, or any custom-built applications. InMotion’s new ‘high availability’ feature, which is powered by the cloud, gives your VPS partition real-time redundancy. In simple terms, this means that should anything happen to your node; your website will almost instantly spin up on a new server within that same cluster. If it’s custom software that you require, root access or software with special security features if you are hosting more than one website, then InMotion’s dedicated hosting is probably your most likely option. InMotion’s dedicated servers have been designed to meet those needs of enterprise level websites. Web hosting costs start at $136.59 per month (if paid monthly), $115.19 a month (if you commit to 6 months) or $105.69 a month (if you take out an annual subscription). Web hosting costs start at $207.49 per month (if paid monthly), $186.89 a month (if you commit to 6 months) or $166.59 a month (if you take out an annual subscription). Web hosting costs start at $279.89 per month (if paid monthly), $259.29 a month (if you commit to 6 months) or $238.99 a month (if you take out an annual subscription). Web hosting costs start at $403.99 per month (if paid monthly), $372.49 a month (if you commit to 6 months) or $340.99 a month (if you take out an annual subscription). Web hosting costs start at $498.49 per month (if paid monthly), $466.99 a month (if you commit to 6 months) or $414.49 a month (if you take out an annual subscription). Web hosting costs start at $603.49 per month (if paid monthly), $561.49 a month (if you commit to 6 months) or $519.49 a month (if you take out an annual subscription). SSD offers both faster speeds for reading and writing. For read, it’s between 94k – 98k and for write, it’s 88k – 90k. SSD also improves uptime, compared to the traditional HDD. InMotion’s BGP multi-homing and redundant switching network design maximizes uptime and ensures the highest network speeds. Their team work with you to enable you to achieve your goals. This is included FREE of charge with all the dedicated server hosting packages. Your next level administration team. This is included free of charge within your package. 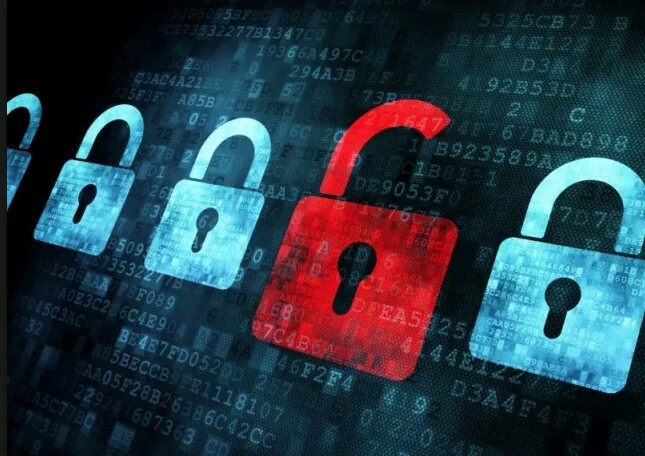 Keep your operating system secure, fully up-to-date without it affecting your presence online. With over 12 years of CentOS experience, InMotion will know what’s needed to ensure your operating system works to its best performance. InMotion use several of the best-known tier bandwidth providers. If one should go down, their technology ensures that you are switched to another provider automatically. 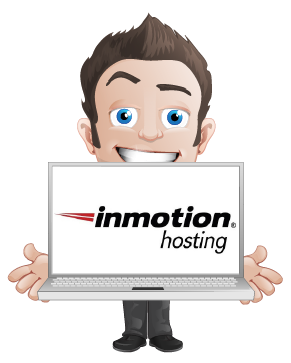 InMotion #Web #Hosting provide a 90-day money-back guarantee if you aren’t satisfied! It really does show just how confident they are! 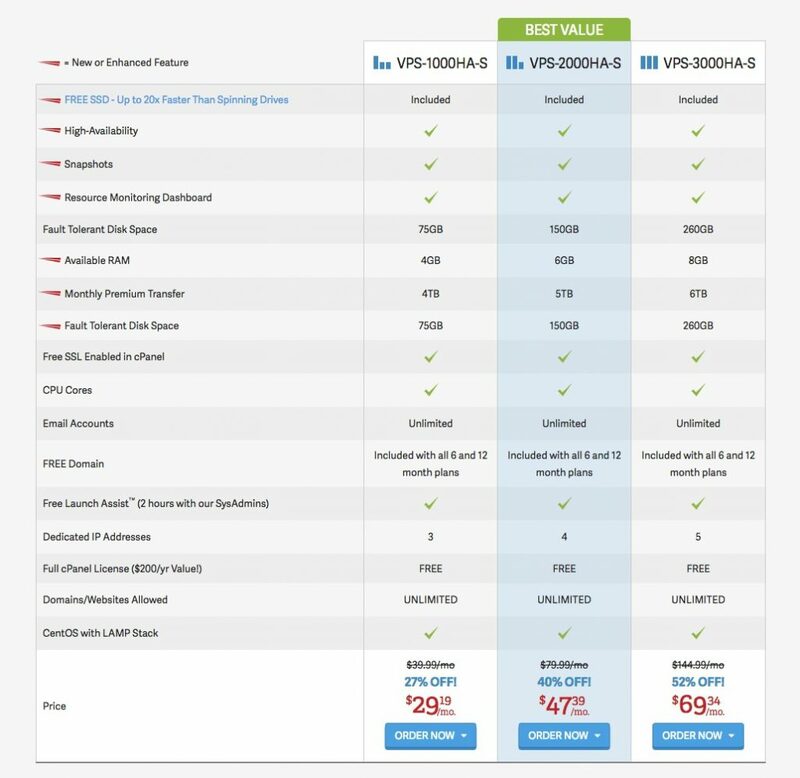 InMotion’s WordPress hosting packages are very similar in both their pricing and features. Web hosting costs start at $8.29 per month (if you take out an annual subscription), or $7.26 a month (if you commit to 2-year subscription). Web hosting costs start at $13.44 per month (if you take out an annual subscription), or $11.38 a month (if you commit to 2-year subscription). Web hosting costs start at $18.59 per month (if you take out an annual subscription), or $15.50 a month (if you commit to 2-year subscription). Web hosting costs start at $41.34 per month (if you pay monthly), or $34.19 a month (if you pay for 6 months), or $31.10 per month (if you commit to an annual subscription). Web hosting costs start at $82.69 per month (if you pay monthly), or $68.39 a month (if you pay for 6 months), or $62.24 per month (if you commit to an annual subscription). Web hosting costs start at $155.09 per month (if you pay monthly), or $129.49 a month (if you pay for 6 months), or $119.28 per month (if you commit to an annual subscription). InMotion looks after all of the technical aspects enabling you to focus solely on your content. For example, with every account, you will receive automatic updates. The Content Management System (CMS) is already pre-installed. This means that you only have to customize your plugins in WordPress. There are lots of tutorials available if you are looking to move your existing WordPress site from elsewhere, which enable you to transfer to InMotion’s servers seamlessly and without downtime. InMotion also offer a free service to transfer it for you. This option is available to you if you wish to be able to cope with a lot more traffic but choose not to deal with the technical stuff. This means that InMotion will look after all of the software updates, the security and any other maintenance issues and tasks on your behalf. These fees are an additional fee to what your plan is. 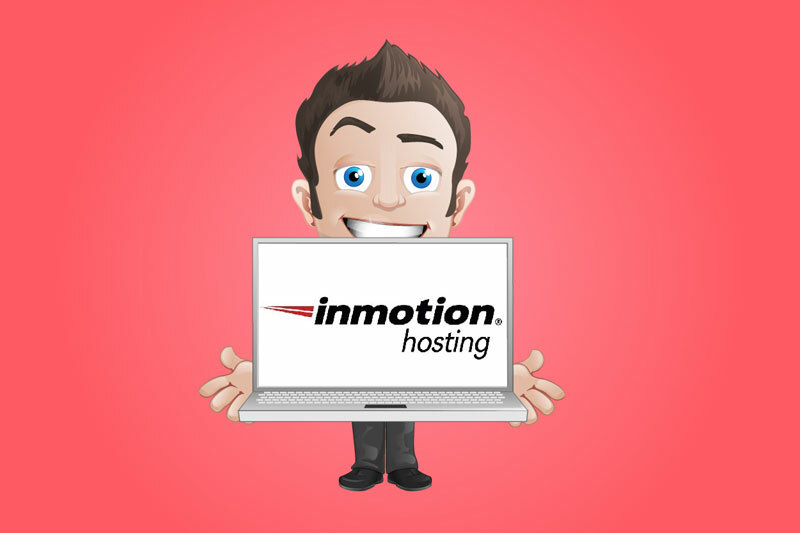 So, is InMotion the right web host for you? 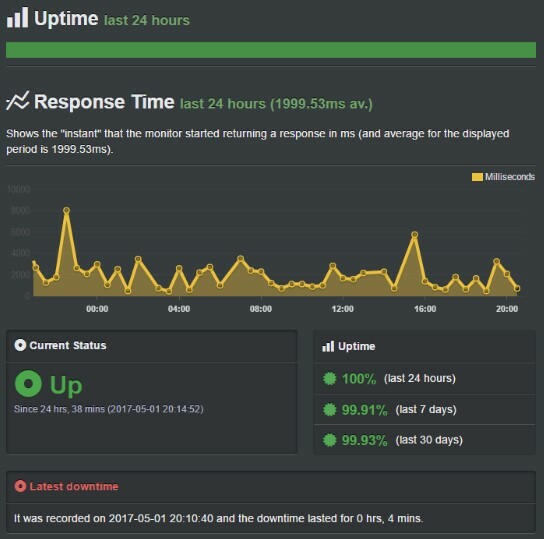 OK, so while InMotion Hosting does lack Window’s based servers, it still offers some of the best Linux hosting solutions out there. You can also enjoy many features such as unlimited emails, 99.9% uptime, free SSD’s on all servers and much much more! I have to say that I was impressed with their 90-day money-back guarantee! It really does show just how confident they are! So, overall, they are a reliable web hosting company with great uptime and speed. And, although there are a lot of negatives that have been said about InMotion, it’s vital you do your homework before choosing who is right for you. Are you thinking of purchasing InMotion or are you already using them? Perhaps you started reading this review with the intention of purchasing InMotion, and now you’re not quite sure! 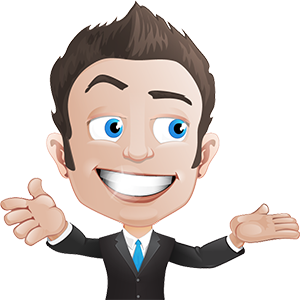 Feel free to leave a comment below, and I’ll see if I can help…..or why not check out some of my other reviews like Kinsta WordPress Hosting or HostGator Hosting!